When your hire a moving company, you trust them with everything you own. That’s why choosing Worcester household movers with a solid reputation is a must. Since 1920, Liberty Movers has been providing quality, affordable relocation services to residents in and around central Massachusetts. We started our business with the goal of providing exceptional customer service, and that remains our mission today. That commitment to quality has earned us the BBB’s “Better Business Marketplace Excellence Award,” Bekins “Agent of the Month” award, and many other accolades. More importantly, it’s helped us to become known as one of the most trusted local choices for household moving services. Customer Service: Nothing is more important to us than the satisfaction of our customers. When you want to be treated like a VIP, choose our courteous, professional household movers! Storage Solutions: Many people find that they have overestimated how much room they will have in their new home, and need to store some items while they figure things out. We offer both short-term and long-term storage in our secure facilities. When you’re ready, we’ll deliver your belongings or furniture right to your door! We’re a Bekins Agent: As an agent of Bekins Van Lines, we have access to the best moving professionals and equipment from coast to coast. No matter where life takes you, we can help you get there! Affordable Prices: We offer cost-effective prices and custom moving packages that provide the services you need at a price you can afford. Planning a move? Contact our Worcester residential movers to learn more about all of our moving services! 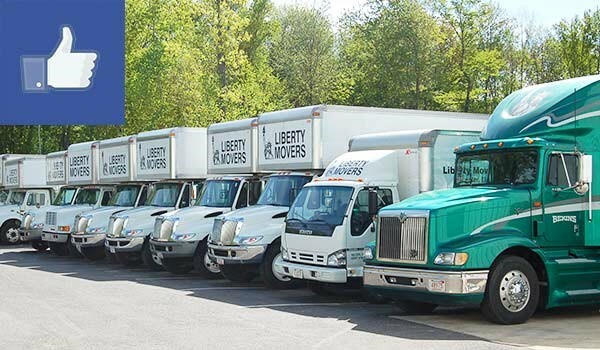 Give Liberty Movers a call today, or fill out our online contact form to schedule your free, no-obligation estimate.